Here are three things which small business owners should consider implementing to improve their chances for long-term success. Price may win among big retailers that include, as well as countless other larger businesses in a variety of categories – but smaller businesses know all too well they typically can’t compete in this big-box space when it comes to money. Instead? This is where smaller businesses have the chance to thrive in offering other experiences that stand-out from prices alone. Of course, price will factor into the overall impression any business leaves on consumers, but when combined with other experiences price can often become overlooked thanks to the many other factors that can outshine it. Big or small, businesses gain the opportunity for increased customer retention and more frequent spending when loyalty programs are offered. You can create one that is digital, mobile, or even old-fashioned by using paper and a hole puncher, but the idea is that you create one that makes sense for your business and your customers. 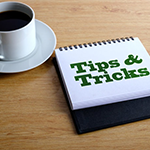 Another tip to help your loyalty program thrive? Give it extra TLC so that it stands out among your other marketing efforts, including your business newsletters, via social media and of course, whenever you’re tending to customers and during any customer communication. Aim to have it stand out as a well-respected perk to customers experiencing your business. Big companies like Starbucks test new concepts on smaller markets before launching their products worldwide. Small companies can learn from this approach. Develop a prototype to get the product out, launch it in smaller markets, test it, get feedback, pivot, and then refine it. By using this cost-effective process, you’ll have a refined product or service designed to the taste and needs of potential clients because they told you what they liked and wanted along the way. As the economy continues to improve, small businesses will have more opportunities to expand and grow. By taking advantage of opportunities that exist now, you’ll improve your chances of success. Glassman, Barry. “The Best Financial Advice For Small Business Owners Now”. Forbes.com. N.p., 2014. Web. 29 June 2017. Leinbach-Reyhle, Nicole. “3 Small Business Tips Uniquely Aimed At Entrepreneurs”. Forbes.com. N.p., 2016. Web. 29 June 2017. Of all the roles a small business owner takes on, often the most challenging is managing the business’s finances. You can improve your chances for success – and your profitability — by being aware of and steering clear of these common small business money mistakes. Insufficient cash is one of the leading causes of business failure. Startups often overestimate how quickly they’ll start making money, and underestimate all the expenses they’ll incur. But startups aren’t the only businesses prone to failure due to insufficient cash. Once you have a steady flow of business you can run into cash problems in a couple of ways. One is a failure to realize the difference between cash flow and sales. You can have plenty of sales on record, but unless you get paid in advance for those sales, you’ll have expenses to pay before you collect from your customers. The worst time to look for a business loan or line of credit is when you most need it. If your business is paying its bills late and is on the brink of failing, finding funding will be difficult or impossible. The time to seek funding is when your business looks solid enough to convince a lender you will be able to repay what you borrow. Whether you are starting a new business, or you’re running an established business, mixing personal and business funds is a recipe for disaster. Assuming you are the sole owner and you buy business supplies with your personal credit card or use a business check to pay for a personal purchase, you’re going to have difficulty keeping track of how much money the business is actually making or losing throughout the year. If there are times when you have to use personal funds for your business – or vice versa – the correct way to handle the situation is to make a formal transaction and document it. If you have business partners, get them to sign off on the transaction, too. As a business owner, your focus is usually on winning business and making sure the customers get it in a timely fashion. Along the way there are so many things to do that it’s easy to let recordkeeping fall by the wayside. Receipts for inventory or other purchases get shoved in a folder, envelope, drawer, or the proverbial shoebox, until such time as you “get around” to recording them. Invoices for items you’ve purchased on credit maybe wind up in your inbox – with dozens of other pieces of paper. Records for business travel may wind up on the back of a receipt or napkin, or stuck in a note on your smart phone. Receipts from people who still pay you wind up in the same folder or drawer, and credit card payments show up in your bank account based on the credit card used to make the purchase, with no convenient way of matching any one day’s credit card receipts to specific purchases made. Determining the right price to charge for products or services is seldom an easy decision. Charge too much, and you could lose sales to a competitor. Charge too little, and you won’t make much profit – or worse, you’ll lose money. Small businesses – particularly those just starting out – often charge too little. Sometimes they rationalise that the low price is a way of “getting their foot in the door.” Sometimes the price is low because a new business owner isn’t taking into account the cost of his or her own labour, or hasn’t accurately determined all of the costs that have to be considered in setting prices. If you’re just starting out, remember to account for all your costs in figuring out what to charge, and check to see what competitors are charging for what you sell. Attard, Janet. “5 Common Small Business Money Mistakes”. Business Know-How. N.p., 2017. Web. 29 June 2017. When the economy is slow, small business owners struggle to survive, many for the first time. Financial problems consume valuable time and business resources, yet must be dealt with proactively. Also make use of your financial advisor or your banker; they have the expertise and knowledge regarding your business and its financial well-being. In tough times cash is king. Have a close look at every purchase you need to make, and decide if it is worth the money. Will the product generate enough cash to pay for itself? If not, don’t buy it. Let your budget show the way. Without a budget, you will find it difficult to cope with hard financial times. Adapt it regularly and do the same with your personal expenses. If you don’t keep track of expenses, they will become a bottomless pit into which all your cash will disappear. Look at your business’s financial position and performance objectively. Do you get maximum returns from your investments? Could you sell those that are not making you money? When times are tough, survival is the only goal. 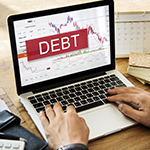 Examine how your debt is structured. If you have an imbalance between short-term and long-term debt you should restructure your long-term debt so that you can pay back the short-term debt over a longer period. Be careful not to take a loan against long-term assets, except if you are in critical need of money. Prepare for your meeting with your banker. Make sure you have all cash flow and balance sheets and inventories at hand for your banker. This will make your review time more productive. Write down any ideas regarding your financial position and discuss them with your banker. Ask your banker about guaranteed loan programs. Your banker could be able to restructure your business debt over a longer period if you are able to secure a credit guarantee on your loan to the bank. If your business is situated in a qualifying rural area, you may qualify for a guaranteed loan. Ask your banker about any additional resources which may be of use to your business. Review your insurance coverage. Increase your deductibles and your premium will decrease. Items that are low-risk or obsolete should be removed from your inventory list. Examine your life insurance policies. Some whole life policies have provisions that enable you to borrow against the cash surrender value at very low rates, or you could deduct the cost of the premiums from the cash surrender value. Determine whether your life insurance is worth the money or whether you couldn’t get by at a lower cost. Make sure all key personnel in your company have life insurance so that business can continue in any of the key players’ absence. Deal with financial problems immediately. As soon as a financial problem arises, deal with it immediately. Keep your banker informed of any problems and make him part of your inner circle of confidants. Use your team as a soundboard to discuss financial difficulties and brainstorm solutions. Get some perspective. Sometimes you need to get some distance from your work to solve the problems. Take a weekend off or go and watch a movie – whatever you do, leave your worries behind for a short while and focus on something else – it will make you and your business a lot stronger. Dealing with accounting deadlines and employee returns is much less stressful when you know what you need to action well in advance. Make sure you have a good system in place that alerts you to important dates and if you need to do anything. Working ahead gives you time to sort out any concerns or problems. Payroll systems such as Sage Instant Payroll or Sage One Payroll will automate the whole process for you, taking care of things like NI and tax calculations, generating payslips for employees, keeping up with legislation and providing information for end of year tax returns. Changes in regulation may affect how you need to run your payroll, so it pays to keep abreast of major new laws. 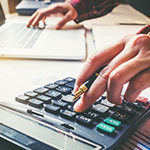 Benefits and tax change frequently and while you don’t necessarily need to know all the details, it’s worth staying informed and getting advice when you’re not sure. Keeping on top of payments is crucial in any growing business. Setting up a good credit control system, sending out invoices promptly and always chasing late payments firmly as soon as they become due will help avoid cash flow disruption. If managing payroll yourself is proving a real headache, consider outsourcing to a payroll company. They’re experts at what they do, and can save you the hassle of managing everything yourself and staying on top of regulations and paperwork. 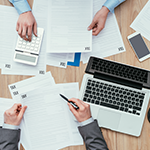 “8 Tips For Managing Payroll | Small Business Advice | Sage Singapore”. Sage.com. N.p., 2017. Web. 29 June 2017.